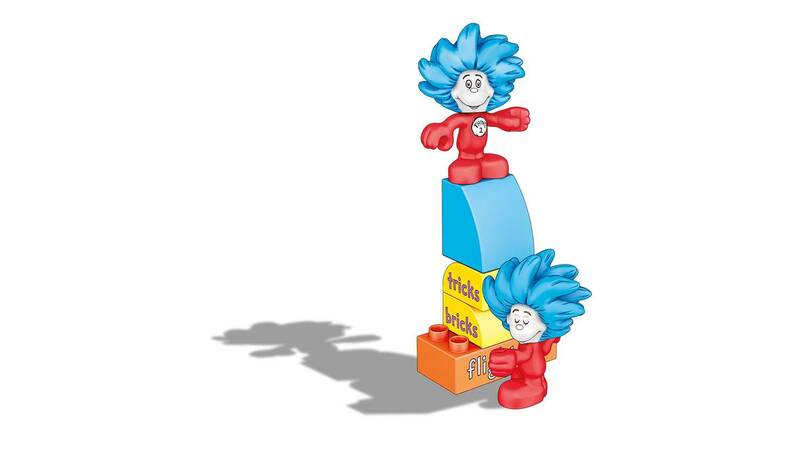 Thing One and Thing Two have some tricks planned for you! 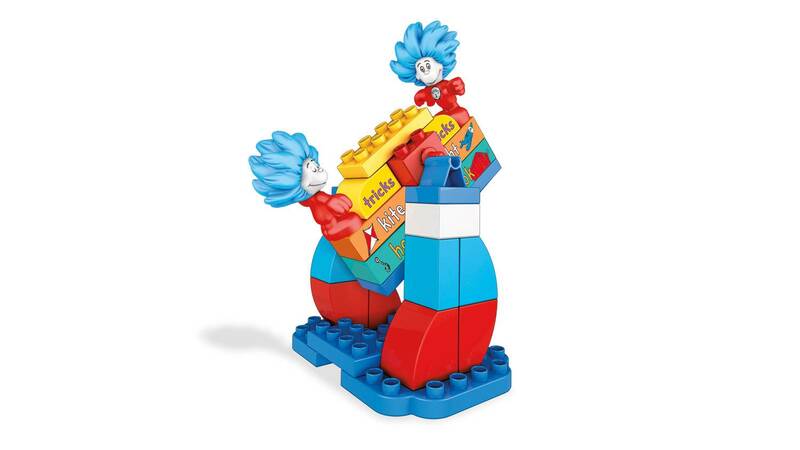 Get ready for double trouble when you build the teeter-totter and spin around with Thing One and Thing Two! 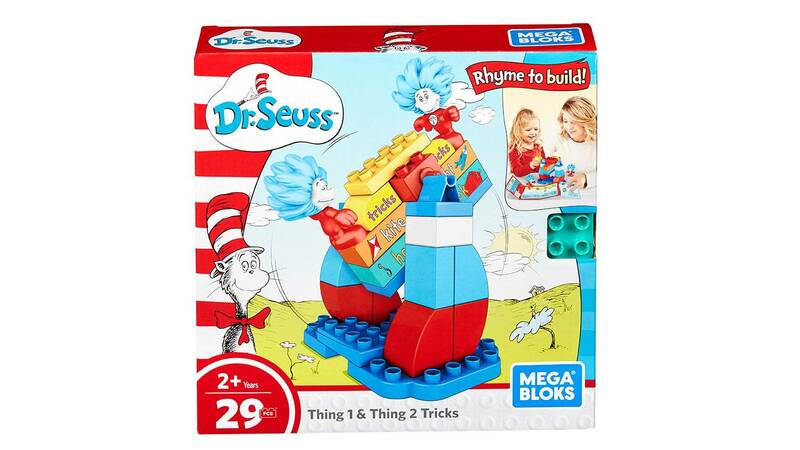 Little Dr. Seuss fans can use blocks to bring their favorite mischievous duo to life! 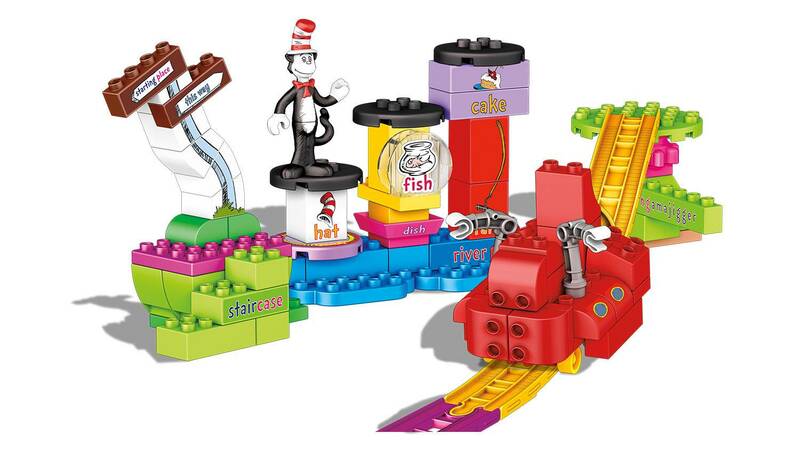 Follow the rhymes and stack the blocks to build a teeter-totter set inspired by The Cat in the Hat. 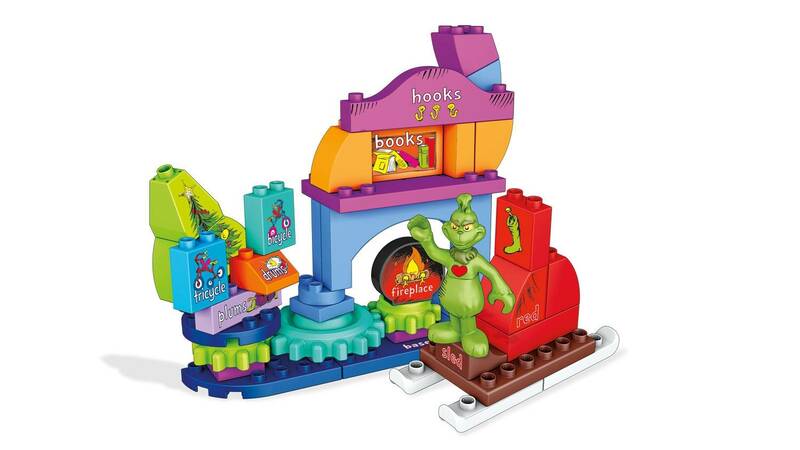 Then, place the trouble makers on either side and spin it around! What a silly trick they can do!